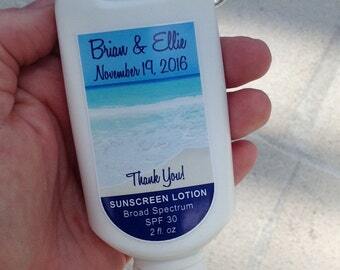 Personalized sunscreen and aloe vera gel lotion are great favors for destination weddings or any special event! 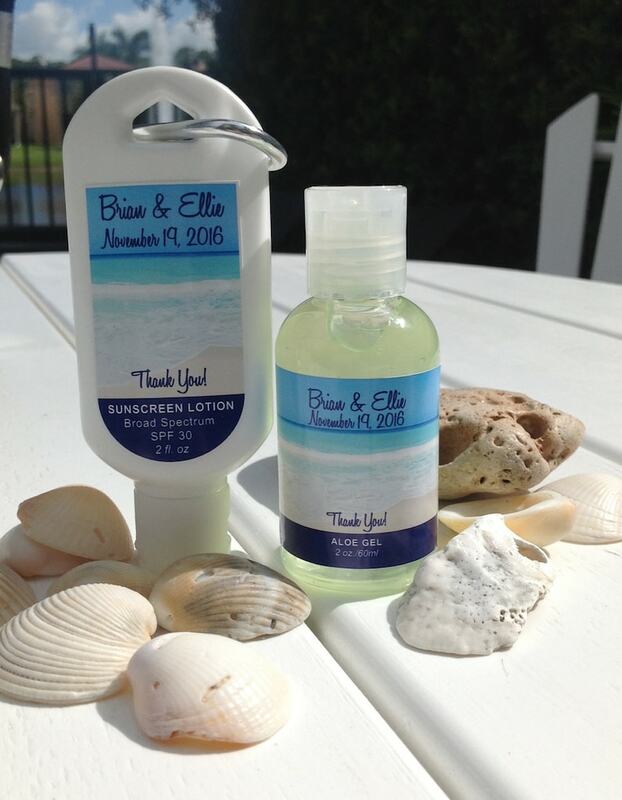 We offer our travel-sized favor package with your customized full color label already adhered. 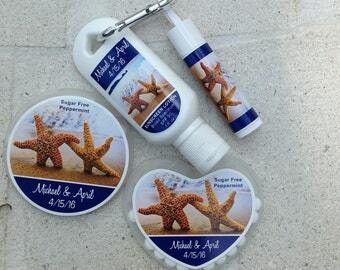 Our labels are made of high quality, peel and stick waterproof vinyl and eco solvent inks. 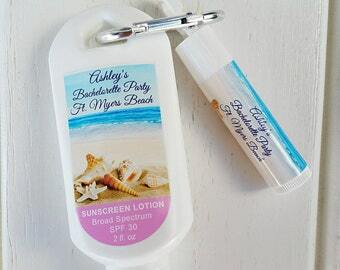 -Reusable sunscreen bottle comes with handy carabiner clip, 30 SPF FDA Approved, Paba and Paraben Free. 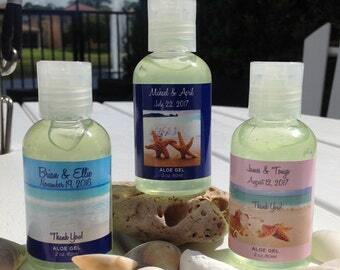 -Reusable aloe vera gel bottle with an easy to open and close cap. As pretty as in the pic! Item was just as described and arrived on time. 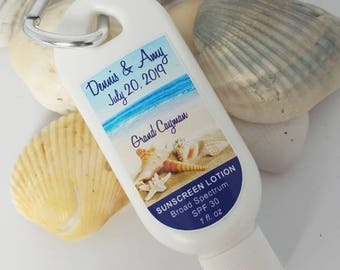 Looking forward to using these as part of our welcome bag for our destination wedding. Love how they came out! Seller communicated with me, and every thing was to expectation and better!